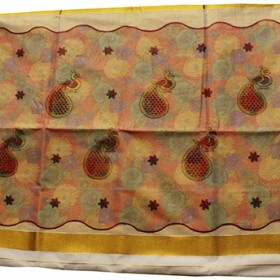 Elegant Kerala kasavu saree with peacock design from Malabarshopping collection. 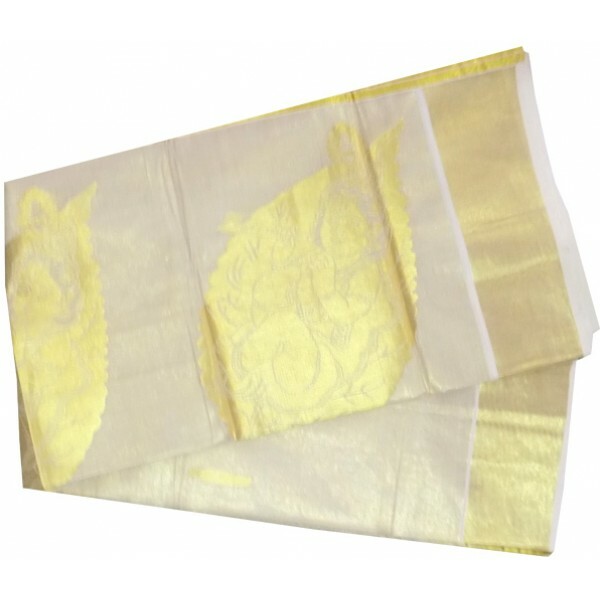 It has a perfectly ..
Be tradition with your Kerala traditional hand painted saree of pure cotton fabric with a variety am..
Purchase latest design trendy designer kerala salwar / churidar for your occation, this very a..
Kerala traditional Krishna embossing kasavu tissue saree depicts the popular golden design of krishna in its pallu and fleets in the body of the bottom. 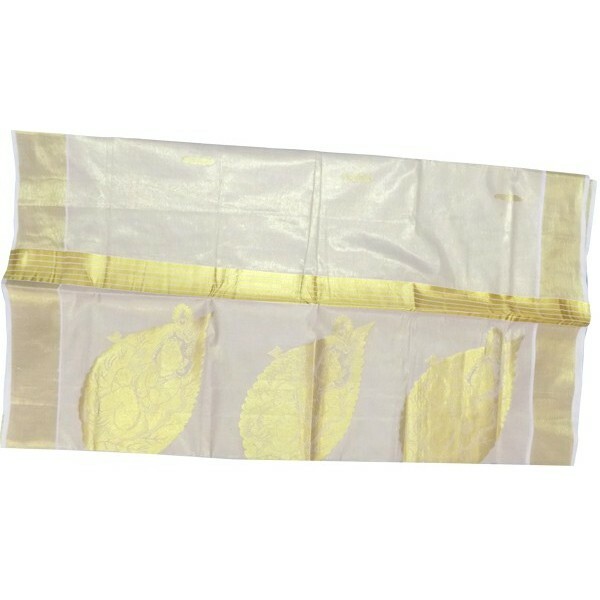 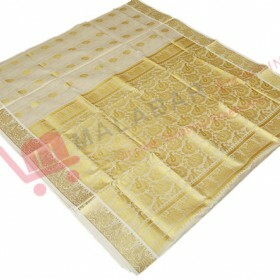 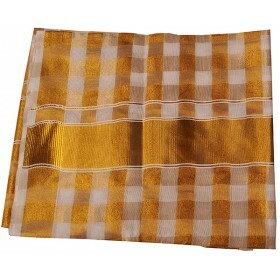 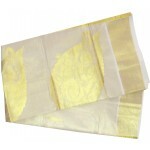 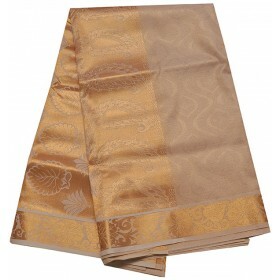 The golden colored pallu is woven into the fabric with a nice blend of golden colors which gives the saree a royal look. 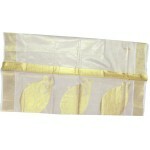 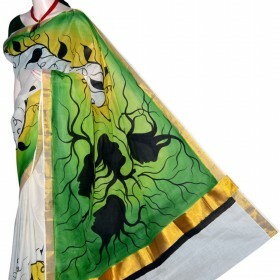 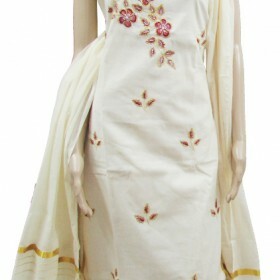 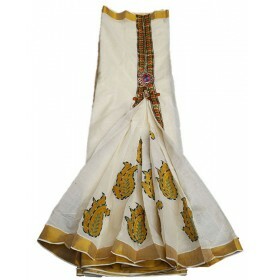 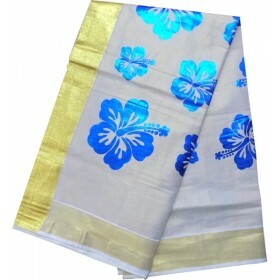 The body of the saree has delicate Kasavu works that add elegance to the saree.